Elegance unites with character: the NEW CLASSIC is an inspiring combination of the new and proven that creates a truly unique look. 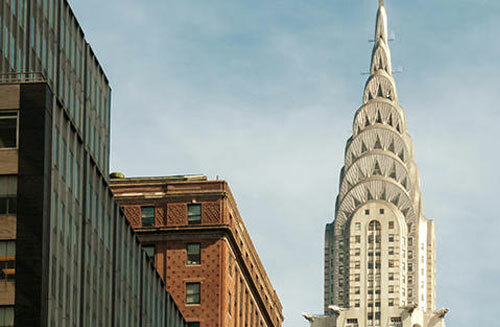 Citations from Art Deco are reflected here in just the same way as architectural elements. 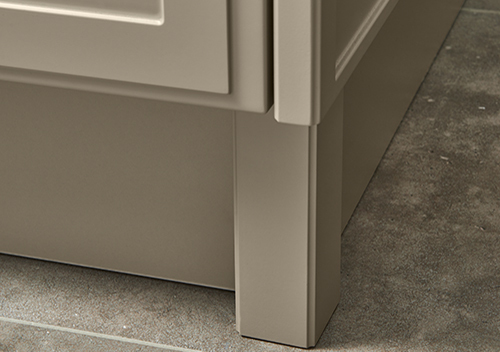 Together with many other details, the result is an elegant and understated style. 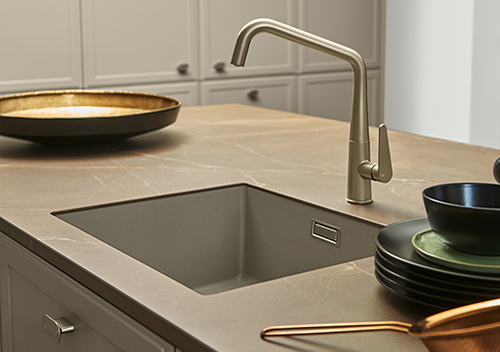 Experience the fascination of an entirely new and exceptional design. Elegance doesn’t seek attention but prefers to be remembered. As such, this home environment captivates less with superfi cial impact. Instead, it impresses with understated style and clean-cut lines. 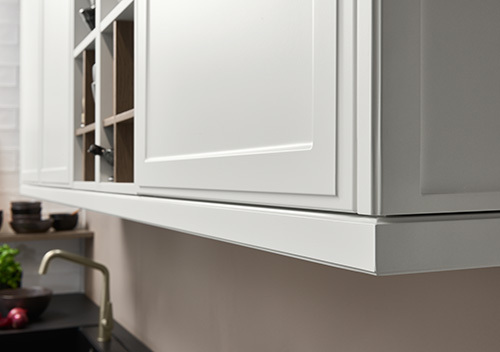 This is emphasised by the sleek TORINO LACK fronts, the display unit door in manganese bronze as well as by the slimline worktop. 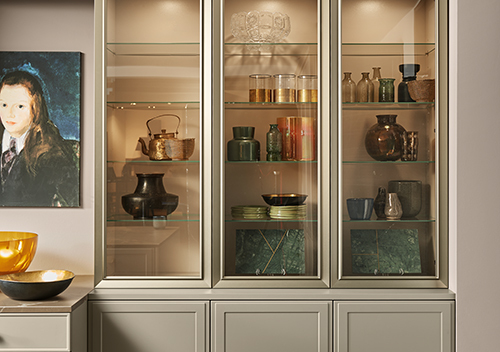 Complementing this, the handles in Art Deco look make a particular statement. A real eye-catcher in manganese bronze. 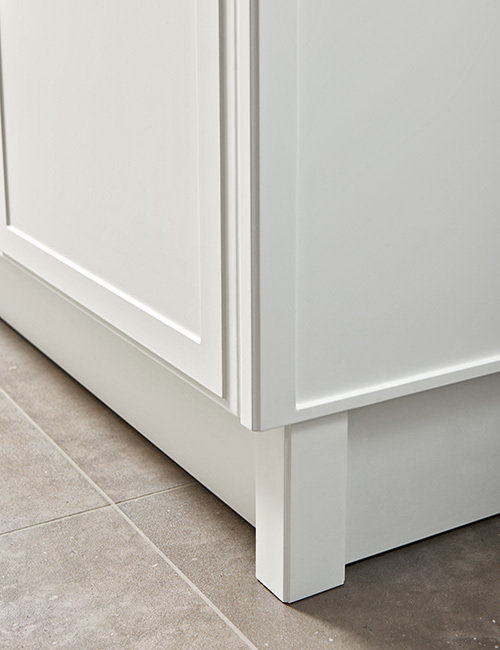 Use of classic elements, such as pilasters or cornice, really brings out the kitchen’s graphic style. 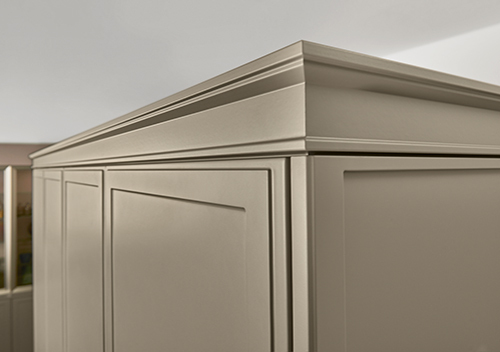 The plinth cladding elements skilfully give the impression of a solitary furniture piece, while the slender pilasters form a perfect lateral finish. 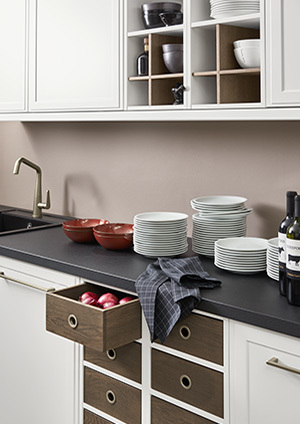 This gives the kitchen a look of supreme individuality without feeling rustic. 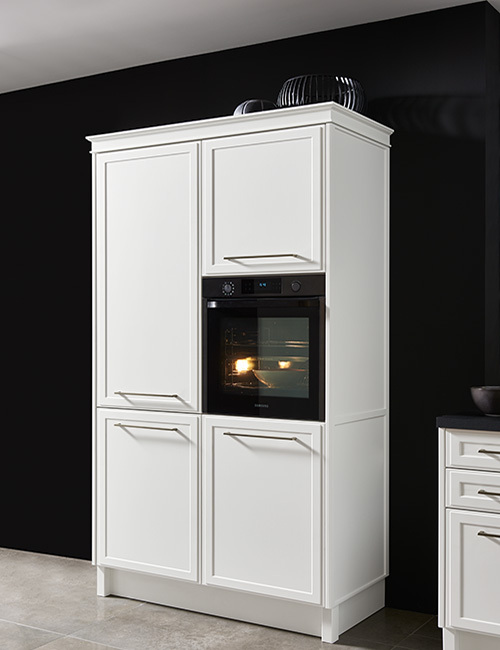 NEW CLASSIC has several attractive facets, as this kitchen style proves in its individual look. The colours are dominated by an interesting contrast of white and dark tones. 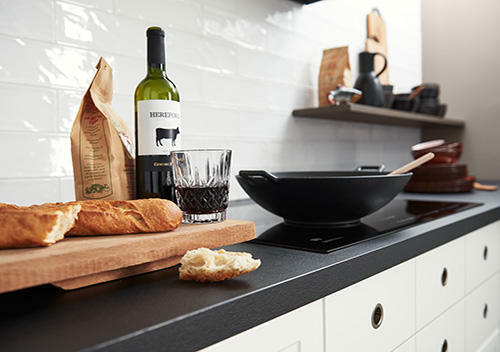 The combination of the TORINO LACK front in white with the worktop in black PRO creates a delightful contrast that essentially defi nes the overall character of this kitchen. 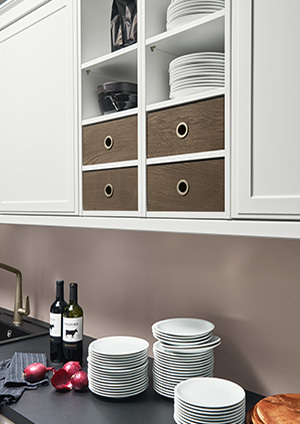 Interesting details, such as shelf units with ingredient dispensers and cross inserts in oak barolo, complement the look. 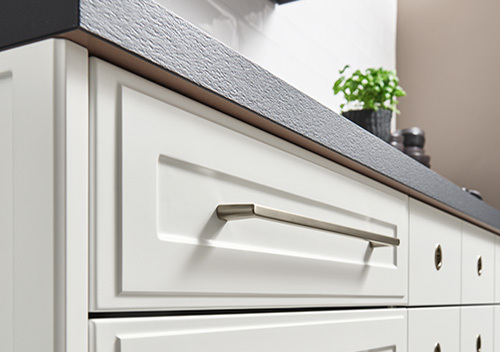 Alternatively, the wall units can also be fitted with ingredient dispensers.Together with the hob base unit in ingredient dispenser look, they create an individual overall impression with a unique, personal touch. 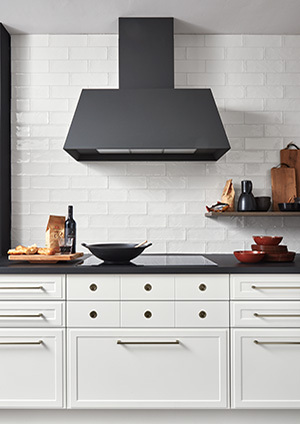 The extractor hood creates a stylistically matching eye-catcher. Exceptional and anything but rustic. Sleek linearity in manganese bronze. 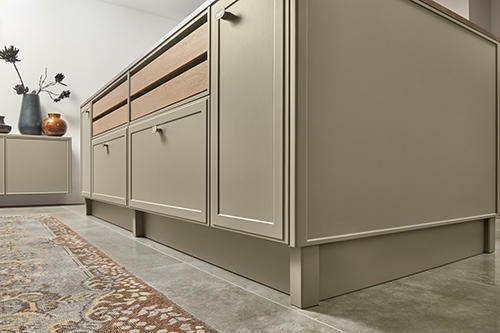 Matching the overall look of the kitchen, the manganese bronze handles are modestly sleek. They go perfectly with the visual concept. 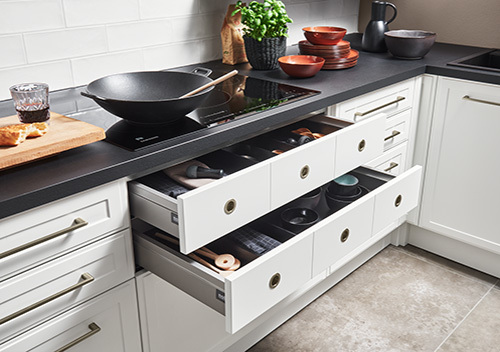 An interesting contrast is created by the recessed pulls of the drawers in ingredient dispenser look which, with their round form, provide a visual counterweight to the handles. 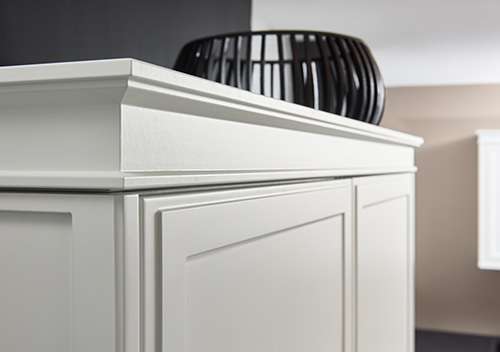 Particularly in this version of the NEW CLASSIC, the design elements, such as the cornice, light pelmet, pilasters and forward-set side plinth elements, play a key part. They give the kitchen a distinctive look.